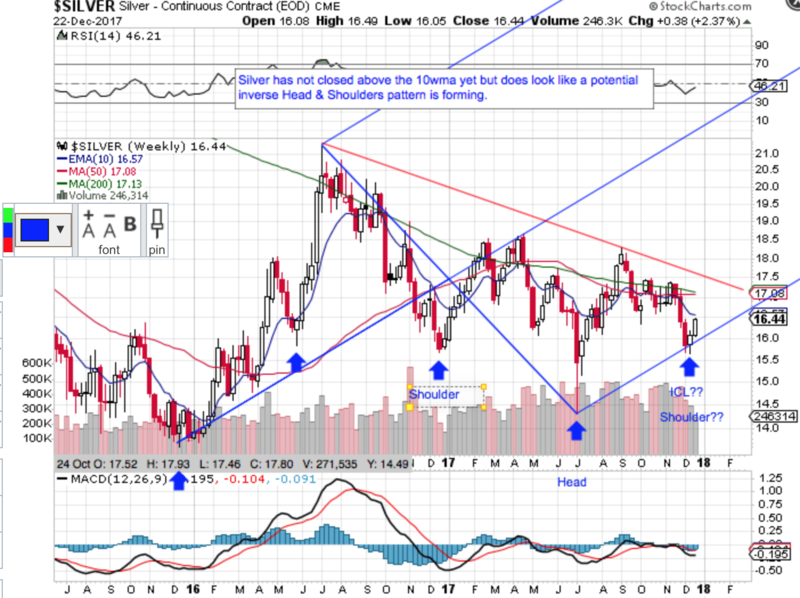 My first chart is a 2-year weekly showing Gold’s ICLs in Blue. 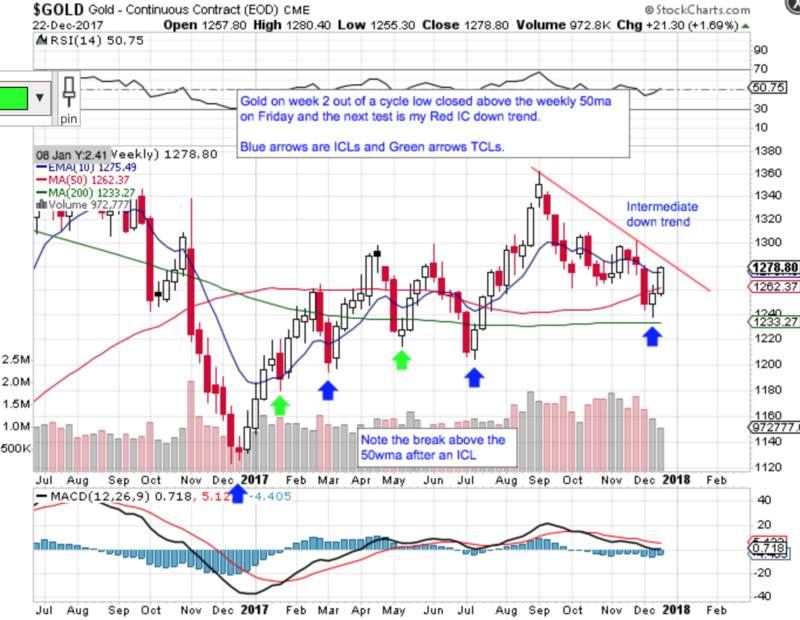 Note that I show the Dec low as an ICL on my chart as Price did close the week above the 10wma but price still needs to close above my Red IC down trend to confirm. 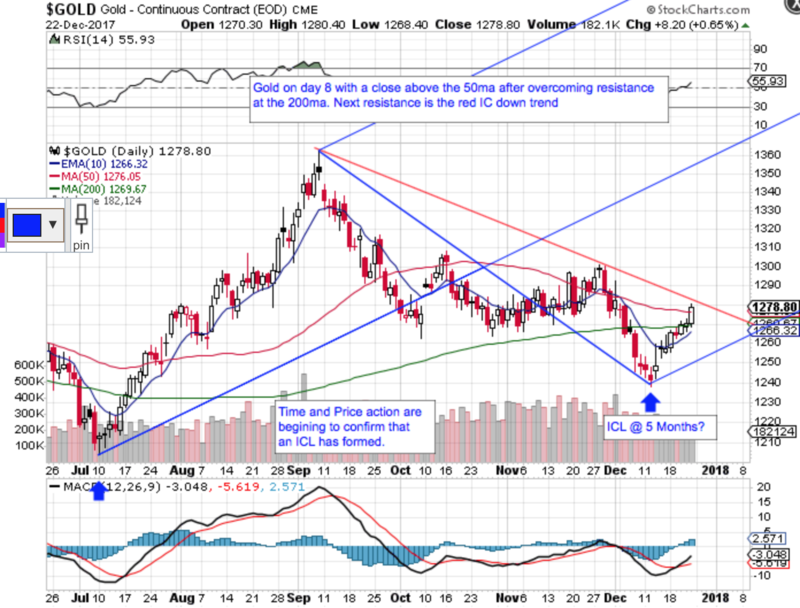 My second chart shows you that Gold, on day 8 closed above the 50dma which is a great sign. 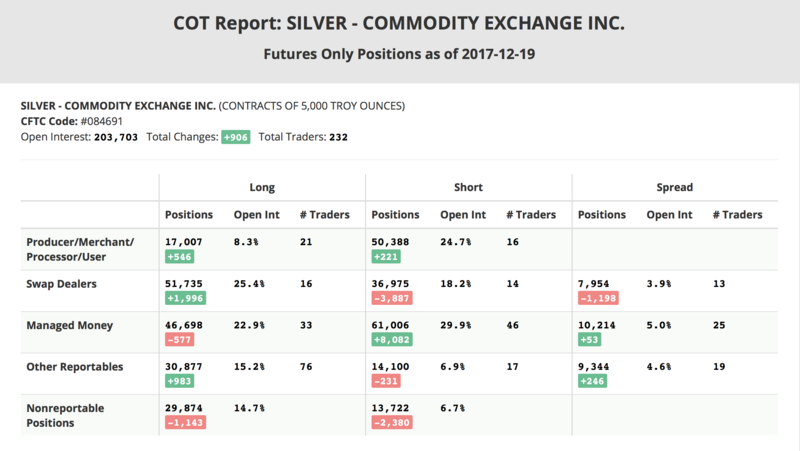 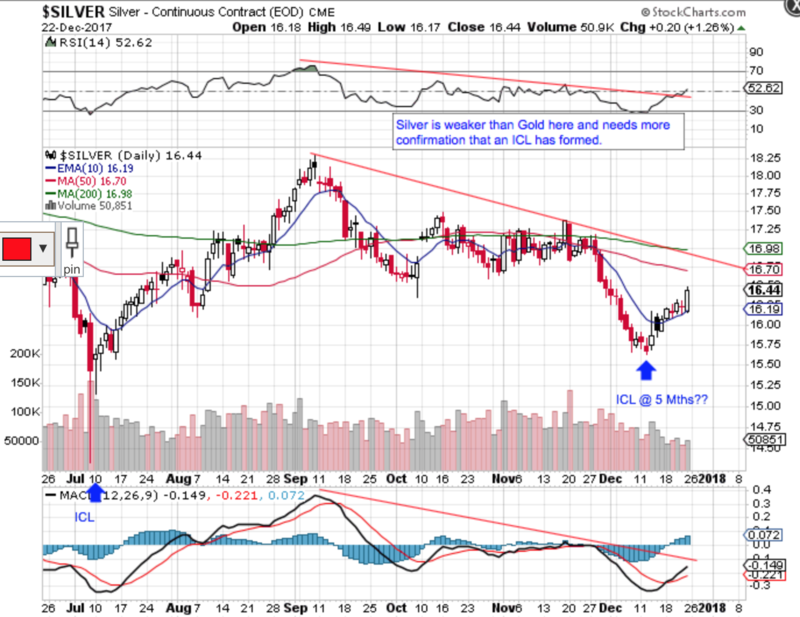 My last 4 charts are the COT reports for Gold and Silver which continue to look constructive. 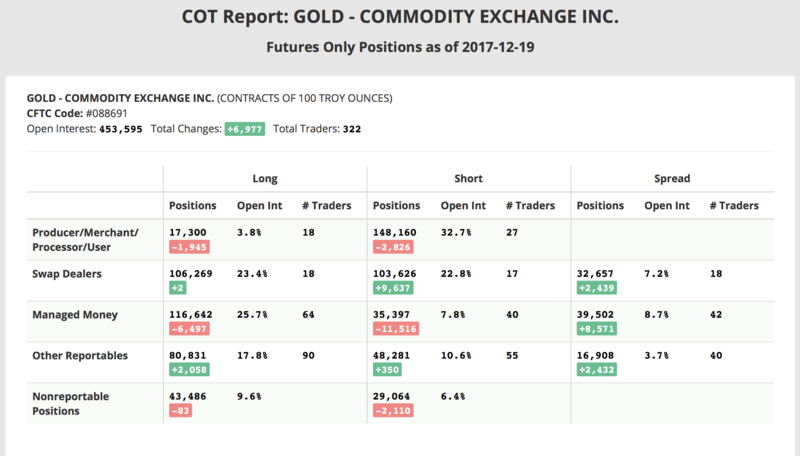 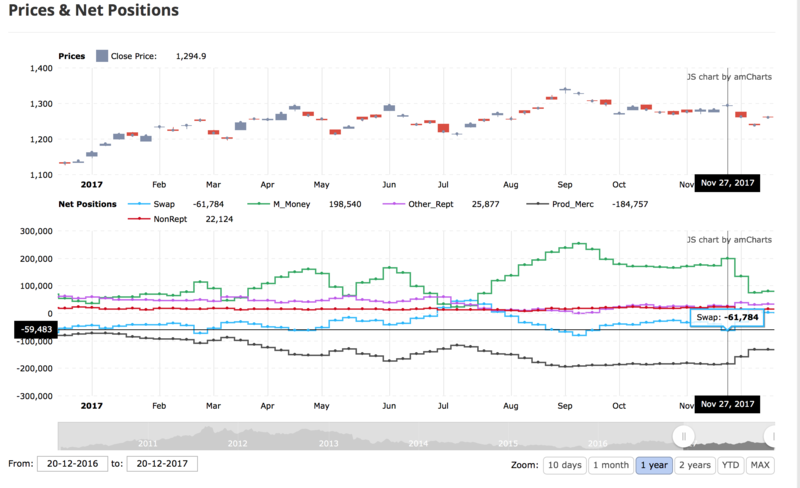 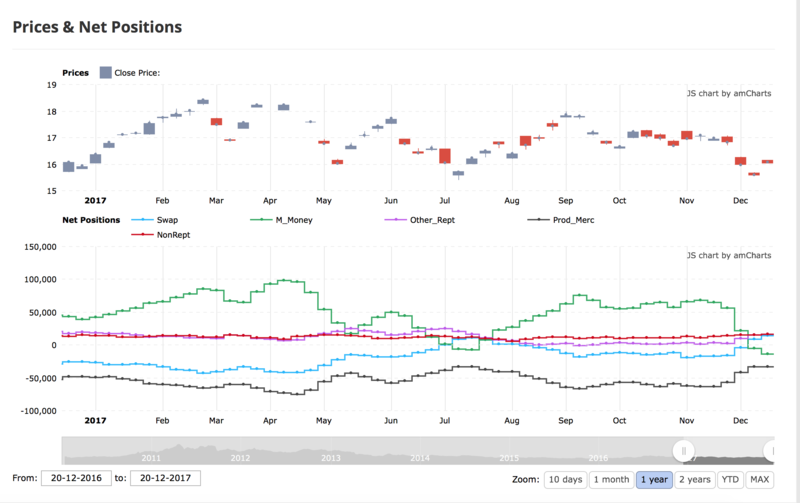 Note on the charts to the right how Managed Money long positions peaked in late November and have sold off into what looks like an ICL while the Commercials (Producers and Swap Dealers) have started covering their shorts into the low.